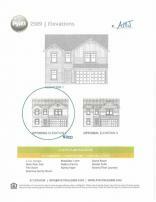 Below are all homes for sale in Central Park subdivision, located in Shelbyville, Indiana. All active listings are updated twice per hour, every day, with data from the Metropolitan Indianapolis Board of Realtors MLS/BLC. Add any of these Central Park homes to your favorites, sign-up for price reduction alerts and save searches. Get Central Park automated home sale updates. Brand new home! 3 beds & 2 baths. Traditional style elevation. Kitchen with walk-in pantry. Open to Family Room. Master bedroom suite with spa-like bath. Master Bath with a Garden Tub and large walk-in closet. 2-car garage. 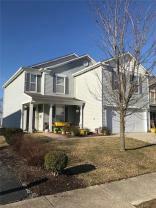 This two story home has over 2300 square feet with 4 bedrooms, 2.5 baths, and fireplace. Spacious living area is all open clear thru to kitchen. Office area on main could be dining. More square feet less money !!! Totally Rehab. New paints, new windows, new water heater. New laminated floor and new carpet. Brand new stainless appliances. House freshly paint, new kitchen Cabinet and counter tops.Fenced back yard.